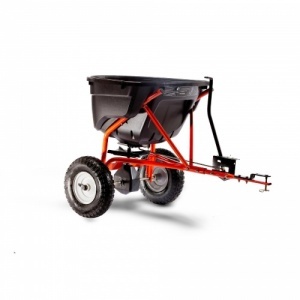 A great spreader for applying fertiliser or seeds quickly and effortlessly, thanks to its 56 cm width and 60 litre hopper. 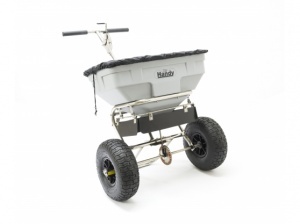 With adjustable feed control and handlebar-mounted spreader-gate control. 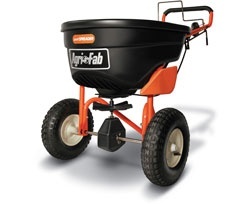 The Agri-Fab 45-0409 is a lightweight push broadcast spreader, featuring a plastic hopper which is corrosion free, so it can be used all year round. 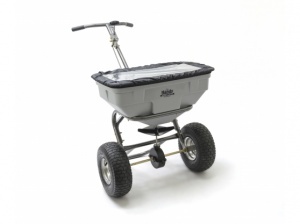 Features a 4 gallon capacity. 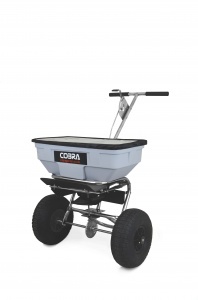 This broadcast spreader is perfect for spreading seed, herbicides or pesticides, as well as salts or ice-melt over the winter. 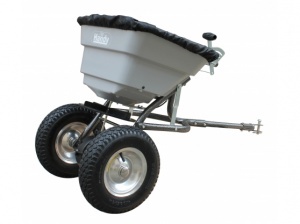 With a maximum working width of 3.66 metres and a capacity of 23 kg. 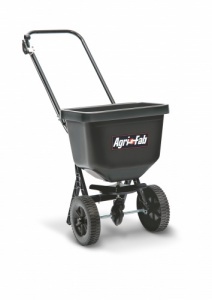 The Agri-Fab 45-0315 is a towed broadcast spreader, which has a solid construction and a robust design. 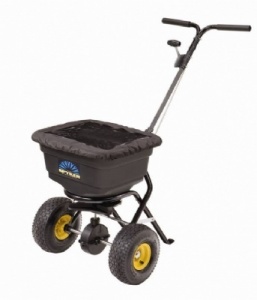 Comes with 10 inch pneumatic wheels for easy transportation. 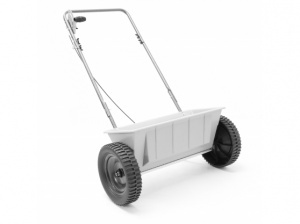 Perfect for spreading large amounts of herbicides, pesticides or seeds, as well as ice-melt during frozen periods, this model boasts a maximum operating width of 3.66 metres, with a hopper capacity of 37 kg. 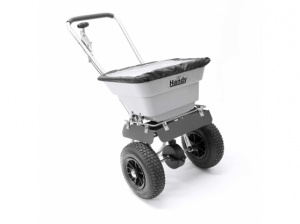 A clever dual-purpose towed broadcast-spreader that's perfect for use during the growing-season, with fertiliser, pesticides and grass-seed, as well as during winter months with salt. 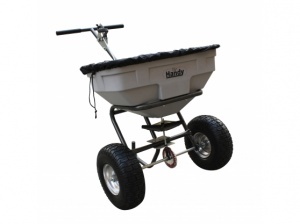 This is a heavy duty manual broadcast spreader from Handy, boasting a large hopper capacity of 32 kg and a maximum spreading width of 3.66 metres. 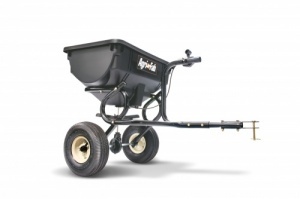 A high capacity push broadcast spreader, this model has a 56.7 kg hopper that lets you cover more ground with fewer breaks. With a maximum working width of 3.66 metres. 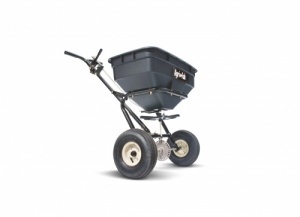 Boasting a tubular-steel frame, all-metal transmission and corrosion-resistant poly hopper, this 58.6 kg capacity broadcast spreader is heavy duty and built to last. The push Agri-Fab 45-0214 spreads everything from fertiliser to seed, and more. Featuring strong long lasting stainless steel plates that resist corrosion. 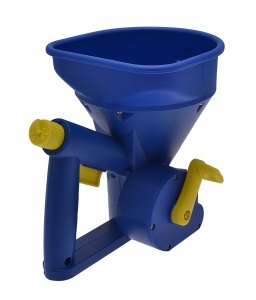 Has a capacity of 45kg. 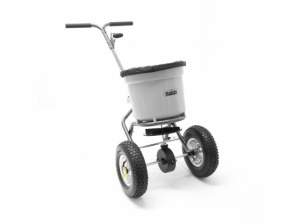 A great way to keep paths and driveways free of ice during the winter thanks to this salt spreader's large 3.66 metre spread-width and high capacity 36 kg hopper. 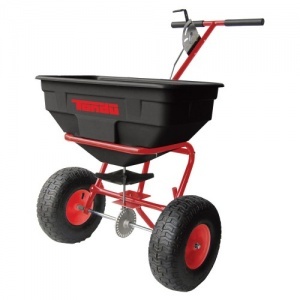 This Tondu walk-behind spreader is a great choice for medium to large areas, and is able to hold up to 60 litres - suitable for both fertiliser and seed. With a rain cover to keep materials dry. 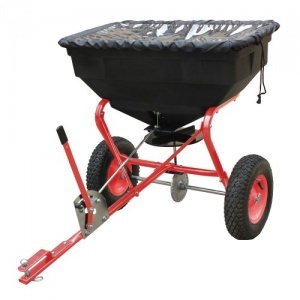 A towed spreader that is ideal for medium to large areas, the poly hopper is able to hold up to sixty litres of material and is suitable for both fertiliser and seed. 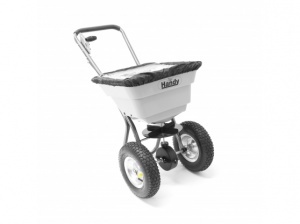 Allowing you to easily keep ice off your paths and driveways during the winter, this salt spreader from Handy has a 45.3 kg capacity hopper and spread-width of 3.66 metres. 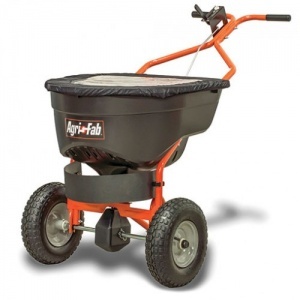 The Agri-Fab 45-0462 push spreader is equipped with a large 56kg hopper, which is fitted with extra large pneumatic tyres for easy manoeuvrability. This hefty spreader is more than a match for spreading jobs - no matter what the conditions. 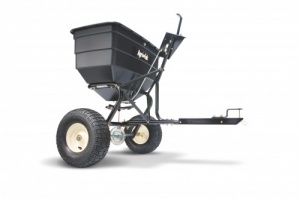 The Agri-Fab 45-0463 towed spreader is equipped with a large 56kg hopper, which is fitted with extra large pneumatic tyres for the easy manoeuvrability. 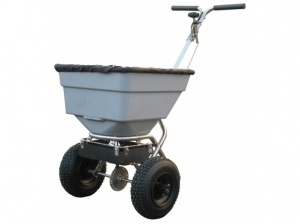 This durable spreader has an 18 kg carrying capacity and is robust enough for consistent performance, season after season. 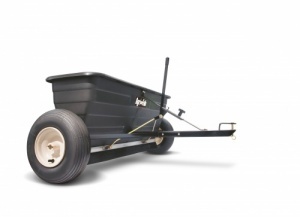 The Agri-Fab 45-0288 tow behind drop spreader is an impressive heavy duty machine, featuring a capacity of 175 lbs/17 gallons, and a working width of 42 inches. 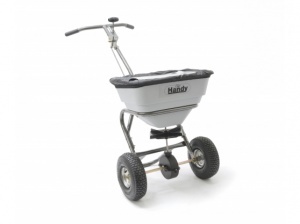 Handy's largest salt-spreader, ideal for both commercial and large-scale domestic use while still being easy to push courtesy of wide-profile pneumatic tyres and a comfortable handlebar. 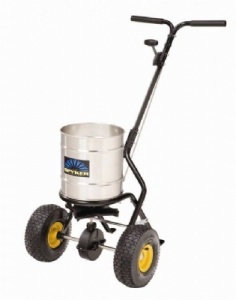 The Agri-Fab 45-0329 broadcast spreader has a large 79kg capacity, with extra large 15 inch pneumatic tyres, fitted with ball bearings for reliability.